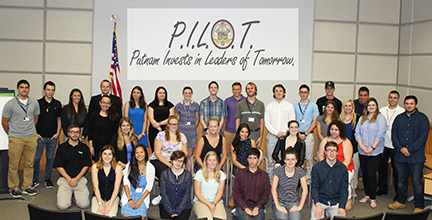 Carmel, NY – For the third year, Putnam County Government will once again offer high school, college and graduate school students the opportunity to apply for paid and unpaid summer internship opportunities throughout its many departments as part of the Putnam Invests in Leaders of Tomorrow (PILOT) Program. Past interns have found the PILOT program provided insight and resources that will help them as they consider their career choices. “It was a great opportunity, I made great connections and I learned a lot about how the county government operates,” Zachary Cecere, a 2015 intern in the Purchasing Department, said. The P.I.L.O.T Program helped some interns validate their career choices. Some of the intern’s had eye opening experiences in regard to what occurs in their county. Odell first introduced the concept of PILOT back in 2013. Since its inception, interest in the PILOT Program and the number of student applicants has grown dramatically. Eligible participants must be Putnam County residents who are graduate, college, or high school students in their junior or senior year. Applicants must be at least 16 years of age. For college students a GPA of 3.0 or higher is recommended. The 2016 Summer PILOT program will be held May 23 through August 12, 2015, depending on student availability. Internship hours, are typically 28 hours a week, and will be coordinated with Department supervisors. Online filing instructions are now posted on the Putnam County Personnel website at www.putnamcountyny.com/personnel. The application consideration deadline for students is Friday, January 15, 2016. Initial candidate interviews will begin in December. Photo Captions: County Executive MaryEllen Odell with many of the 2015 PILOT interns.